Soon enough the big day arrived and before I could comprehend what was happening, I found myself knocking at the interviewer’s door. I was warmly welcomed and asked a few questions. Soon I was introduced to my faculty mentor Dr. Khanh Kieu and he delightedly showed me around the College of Optical Sciences. He showed me some of his labs and even introduced me to some of his students. I felt thrilled to get the opportunity to work with state of the art equipment. After touring multiple labs I had to choose a lab that seemed interesting to me and that I wanted to work in. It was a tough decision choosing the lab, because they all seemed very interesting, but after thinking it over I decided to choose the laser glass-engraving lab. The laser glass-engraving lab is a high powered laser lab that requires a special radiation safety training and I even got the opportunity to enroll in the course and get the radiation safety certification directly from the U of A. Every Thursday I would come by the university to do my internship hours. Every week I looked forward to learning something new and what I found most attention-grabbing were the colloquium series talks where professors, students and world renowned scientists would get together every week and hold discussions about current research projects and innovations that were taking place in their labs. While I did not fully comprehend everything that was discussed in those talks I was able to pick up bits of information here and there. The talks not only helped me learn about science, but they also helped me adjust to the college atmosphere. Not only did I learn through these colloquium talks, but I was also assigned a book about lasers to read and I learned not only how lasers work, but how they are all around us in our daily lives. In the high-powered laser lab I was able to learn how the laser operates and how filaments are used to create high-powered laser beams. I was also introduced to other lab equipment such as laser microscopes, fiber splicers, and oscilloscopes. I even got the opportunity to create a poster board about the things that I had learned and present it to the National Science Foundation (NSF) Site Visit Team when they came to do their sixth annual site visit review of CIAN (see picture below). Not only did this internship allow me to learn about lasers, but it allowed me to connect with other students and professors and get a first hand experience as to how science is applied in the laboratory. After being on campus and learning my way around the University of Arizona I was encouraged to apply to the U of A for admission and was accepted! This allowed me to fulfill my dream of pursuing a degree in computer science. 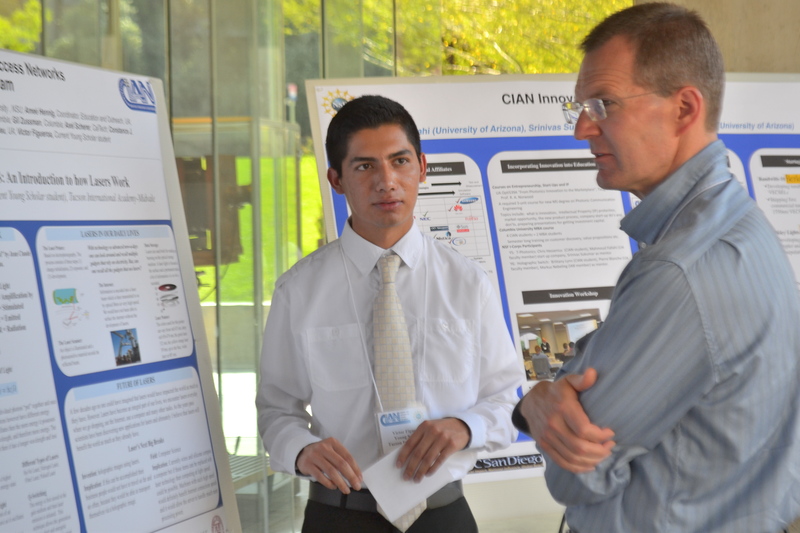 Since I would be attending a CIAN university I had the opportunity to apply for the Undergraduate Research Fellowship Program. I eagerly applied and got accepted into the program! After experiencing all the leadership, research and advancement opportunities that CIAN has to offer, you will never want to let go of any opportunity that comes your way! All in all, I would recommend any high school student that is interested in pursuing a degree in Science, Technology, Engineering and Mathematics (STEM) to apply and take advantage of this one of a kind opportunity early on. You will learn so much and get an insight into the college atmosphere that once your first day of freshman classes comes you will feel ready and ahead of the game! So what are you waiting for? Apply to become a Young Scholar! 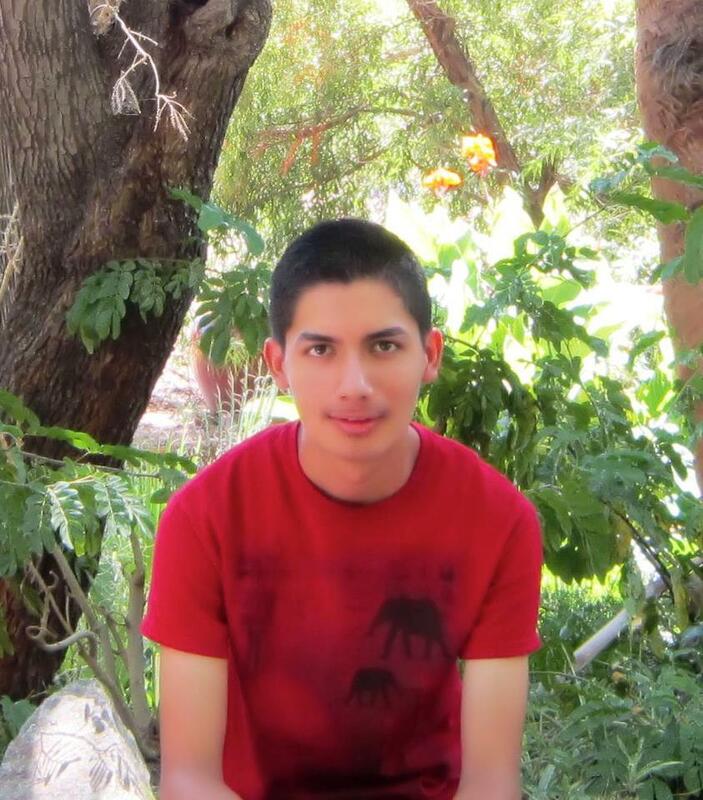 Victor Figueroa is currently an undergraduate student at the University of Arizona majoring in computer science. Victor has participated in the high school Young Scholars program and as of September 2014 he was admitted into the Undergraduate Research Fellowship program and is preforming research under the mentorship of Dr. Milorad Cvijetic in the Advanced Optical Networks laboratory. In his spare time Victor likes to read and enjoy nature. This entry was posted in College Life, Education, Outreach, Research and tagged CIAN Students, College of Optical Science, education, internship, Optical Sciences, outreach, professionalism, research, STEM, University of Arizona, Young Scholars. Bookmark the permalink.